The first sort of gift that I am going to suggest is for the fans who are addicted to Snow Fairy. Honestly, it makes me feel nauseous when I smell it but that's just my personal opinion. 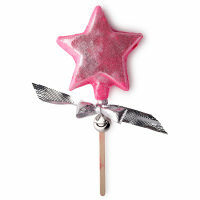 I would get someone who are obsessed with the Candy Floss inspired scent a Magic Wand to begin with for the strongness and design of the product, I would also get them a Candy Mountain just in case because I know from experience that the wand sometimes leaks a lot after being in the water. I would also suggest purchasing a Father Christmas which has a more subtle scent of Snow Fairy compared to the rest of the products. There's also the main star which is a massive 1kg bottle of Snow Fairy and a Snow Angel knot wrap to wrap these amazing products up. 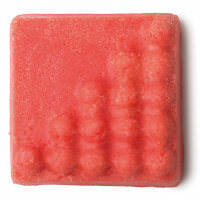 If you want to go more out there then I'd suggest adding a cheeky 100g slab of Rockstar for all the year hand washing. 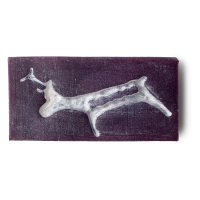 If your family are more of a The Comforter fan like I am then I suggest you buy a The Comforter bubble bar, a 100g slab of Reindeer Rock which shares the same fragrance as The Comforter bubble bar. I would also buy a big 500g bottle of The Comforter Shower Cream which is nourishing and conditioning due to the oils within the product. 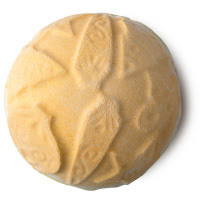 I would also buy either a voucher of The Comforter treatment from the Lush Spa or if you don't have that much money then I'd suggest buying The Comforter Treatment CD. What I suppose I'm saying is if you're buying for someone who loves Lush and loves a particular product then base a little gift set around it and give it to them in a nice box with a ribbon or get a nice knot wrap and see if the staff at your local Lush would teach you how to wrap. 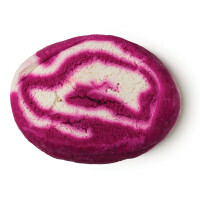 The first bath ballistic I would suggest for the Christmas set is Luxury Lush Pud due to the sweetness of the product from the Lavender and Tonka Absolute and the spices which make it oh so festive then maybe a Golden Wonder as it gives a citrus feel to the whole cold season. I would also add a So White to give a fresh feel to December. 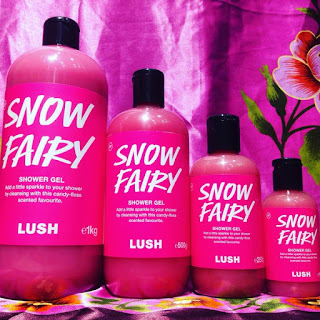 I would also maybe add a Father Christmas if you want to add a hint of Snow Fairy to the whole gift set. If you want to go fully festive then I suggest indulging into a Yog Nog Bath Ballistic because the scent instantly makes you think of Christmas with the spices and creaminess of the ballistic. There is more to the Christmas range so if you want to add anything moneywise then you obviously can. The last sort of gift set I would do is mainly for the body which I know is a different but I know that some people love to pamper their body so I thought why not? I'd suggest a Celebrate Body Lotion to begin with which is £12 but it is massive. 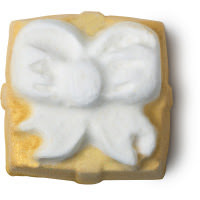 The scent reminds me of Golden Wonder but has nourishing butters in to nourish and help the body during the cold months. 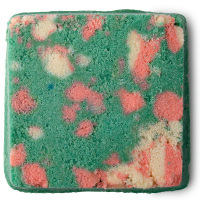 I would also add one of the solid scrubs which are Rub Rub Rub which has sea salt in, Rough With The Smooth which is half scrub half moisturiser or the new festive Sea Salt and Peppermint Bark which is meant to remind you of a Candy Cane. I would also add a massage bar when you want to have a little bit of me time without getting the massive body lotion out. The ones that I would suggest are Wiccy Magic Muscles for when you've shopped too much, Each Peach which is very citrus to brighten your day or Shades Of Earl Grey which is quite soothing and a relaxing scent. If you want to go all out then maybe add either a face mask/scrub eg Cup Of Coffee which contains Coffee Beans and Cocoa which will wak you up when you're too tired to get out of that warm bed. I hope that this has helped you decide on what you want for Christmas and if you love Lush then I hope that this has helped you. I hope that this hasn't came too early Christmas wise and I hope to see you next time for another blog post. 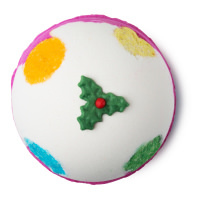 Check out here for Lush's Christmas Range.